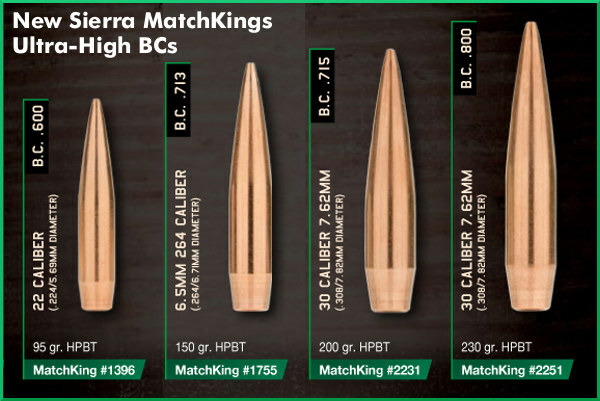 In recent months, Sierra has unveiled four very serious, ultra-high-BC MatchKing bullets in .224, .264 (6.5 mm), and .308 calibers. And just last week Sierra has released initial load data for these four new projectiles. 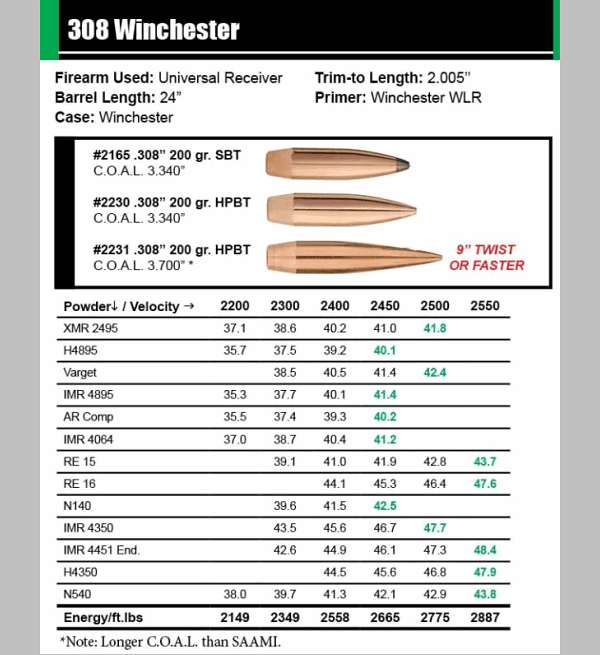 CLICK HERE to get the latest official load data for these four new bullets. Sierra recently released a new-for-2018, 95-grain .224 projectile, Sierra product #1396, with a claimed G1 BC of 0.600 — mighty impressive for a .22-caliber bullet. Next up is the new 6.5mm (.264 caliber) 150-grainer with an 0.713 G1 BC. This could be a game-changer for the 6.5-284 and new 6.5 PRC short magnum. There are also two new .308-caliber MatchKings, a 200-grainer with 0.715 G1 BC, and a new 230-grainer with a stunning 0.800 G1 BC. Many of these New Generation MatchKings now come “tipped” from the factory for more uniform BC. Sierra Bullets has LOAD DATA for these four new bullets. 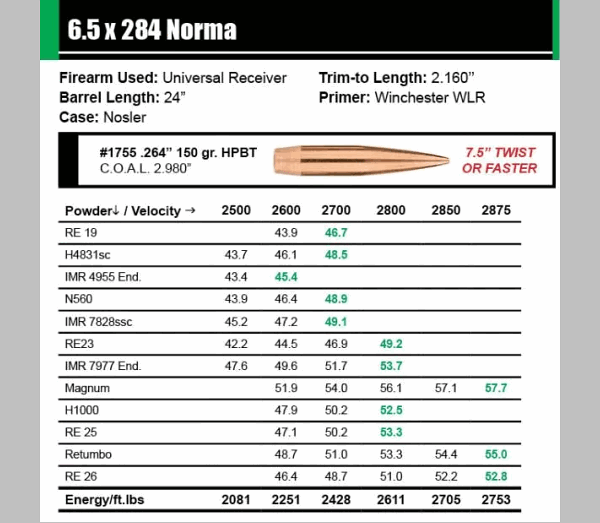 If you handload for .223 Remington, 22-250, 6.5 x284 Norma, .308 Winchester, or .300 Winchester Magnum, check out this new reloading data. Share the post "New Official Load Data for Latest High-BC Sierra MatchKings"
Can someone update the C.O.A.L. on the 308? 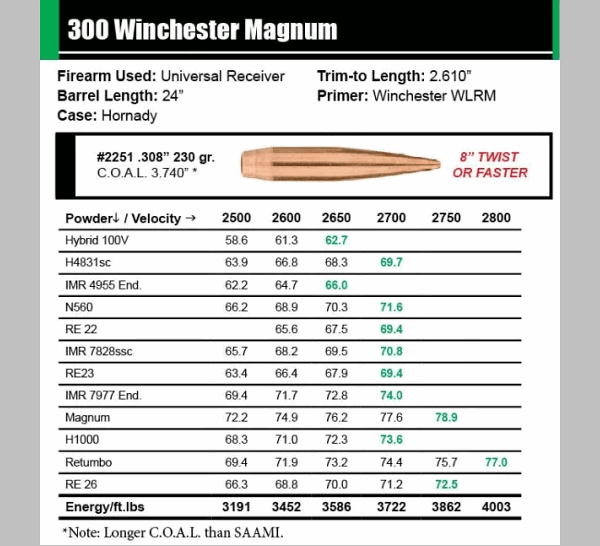 I believe teh 3.7″ was copied over from the 300 Win Mag by mistake. Lovely bullets, but we’re all going to need new barrels to use them. They need a lot of twist. 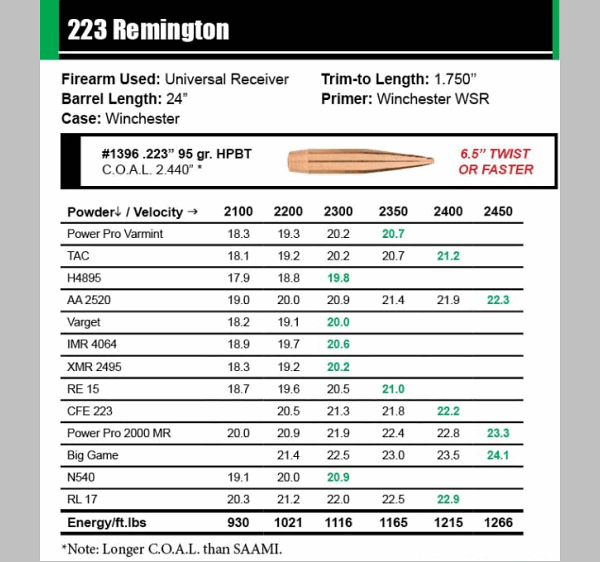 who got 6” twist barrel for .224? Faster twist barrels will soon be the norm it seams. They were been growing in popularity before these came along. looking for reloading data and col for the 168gns 30cal tmk.